From Haiti to Indonesia to South Sudan, IMA World Health had a productive, challenging and rewarding year in pursuit of our vision of health, healing and well-being for all. 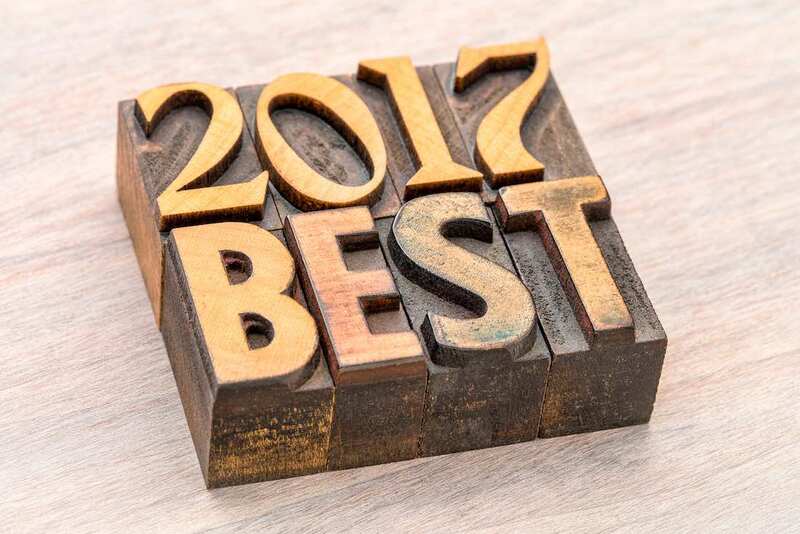 Here’s a look at some top stories and photos from the year. 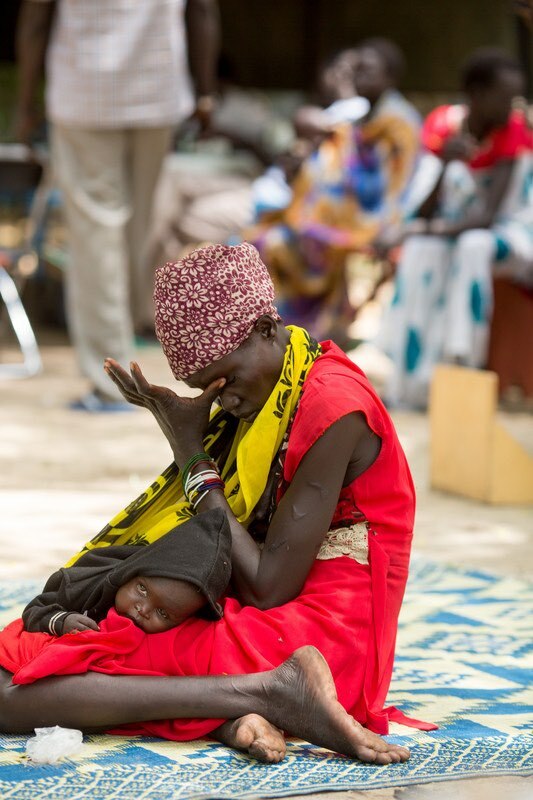 This summer, IMA World Health and our partners responded to an official declaration of famine in South Sudan. With funding from Episcopal Relief & Development and All We Can, IMA and partners built a prefabricated clinic in Pajut, Duk County, where approximately 3,600 pregnant or lactating women and 7,200 children under 5 years old previously lacked access to health services. IMA, with funding from Lutheran World Relief, is working with John Dau Foundation to set up three additional stabilization centers in Payuel, Ayueldit and Padiet, representing an additional 78,000 people in need of services. Learn more about IMA’s ongoing response, made possible by your donations, here. 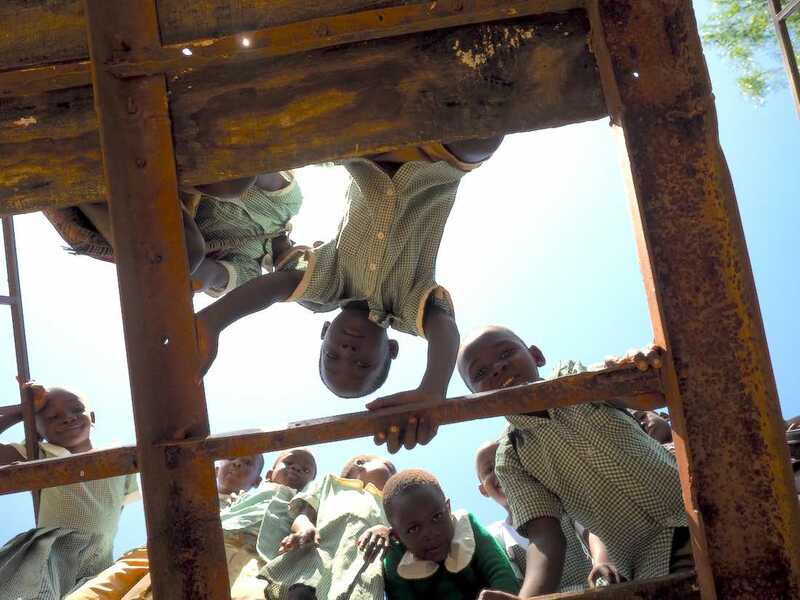 When children arrive at Muhimbili National Hospital in Tanzania, they’re sick and scared. Everything around them seems strange and uncertain. They need to see a friendly face. Alistidia Albogast dresses up as “Dr. 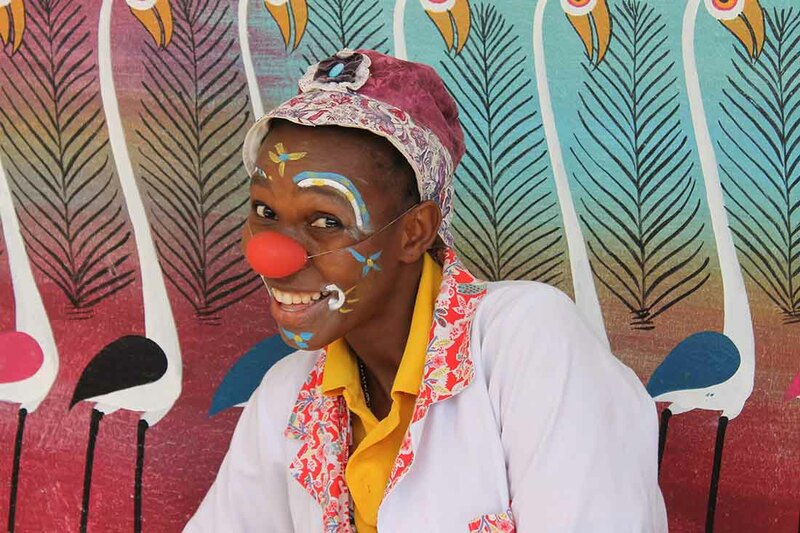 Clown” to comfort children being treated for cancer in the only pediatric oncology ward in Tanzania. IMA World Health supports Muhimbili to treat children for the aggressive but treatable Burkitt’s Lymphoma. Read more here. On June 16, children from the Joseph Kangethe School, a public school for Muslim and Christian children of ages 2-13, participated in the commemoration of the Day of the African Child 2017, in Nairobi, Kenya. More than 500 people gathered to commemorate the day and to speak up publicly for the rights of children and adolescents living with HIV. Children from the Joseph Kangethe School, a public institution for Muslim and Christian children ages 2–13. Photo by Albin Hillert/WCC. We met Nesuru and her husband in a photo essay about survivors of sexual violence in Eastern Congo. 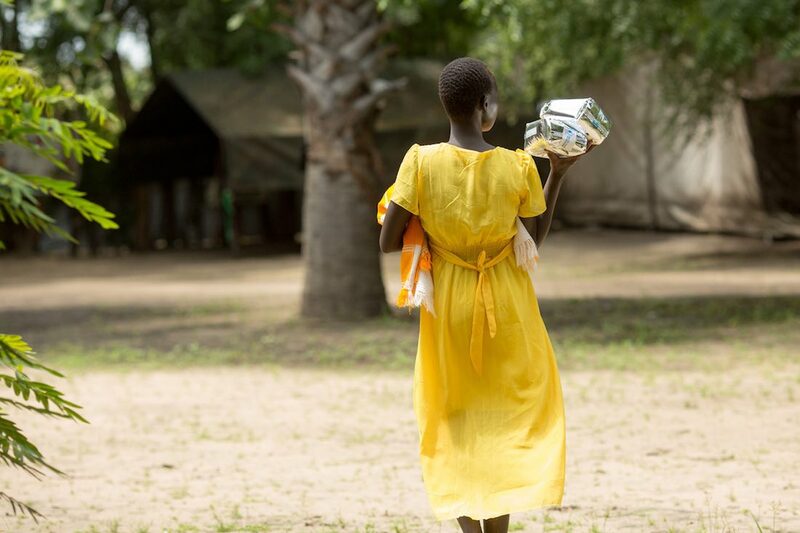 Nesuru was raped by members of a militia who also burned down her home and village. When her husband found out what happened to her, he wanted to leave. But thanks to counseling and income generation activities through the Ushindi project, the couple is finding a way forward. 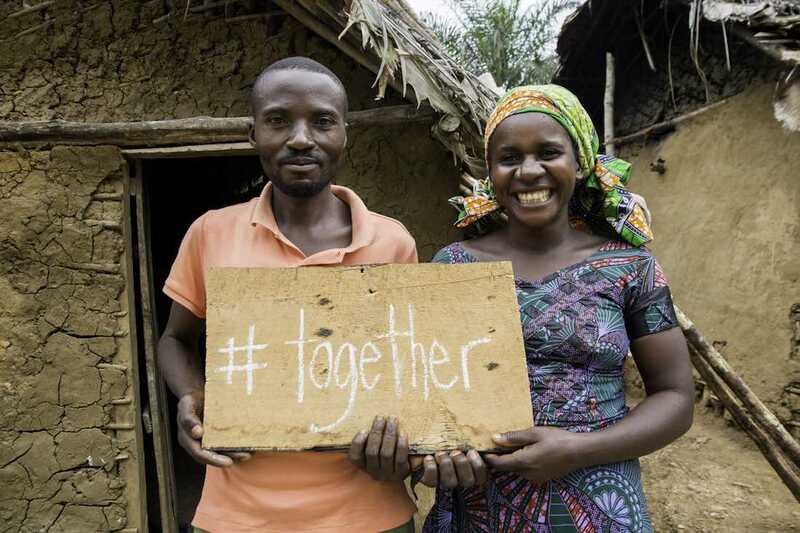 Read their and other survivors’ stories in the “We are together” essay here. Nesuru and her husband have found hope and healing through the Ushindi project, led by IMA World Health and funded by the United States Agency for International Development. Photo by Crystal Stafford. A baby finds himself in the spotlight as a health worker counsels a group of mothers and caregivers on proper nutrition in South Sumatra, Indonesia. This effort is part of the Millennium Challenge Account-Indonesia’s National Nutrition Communications Campaign, which works to dispel myths and promote healthy behaviors to reduce stunting. IMA is expanding the campaign this year. Learn more here. 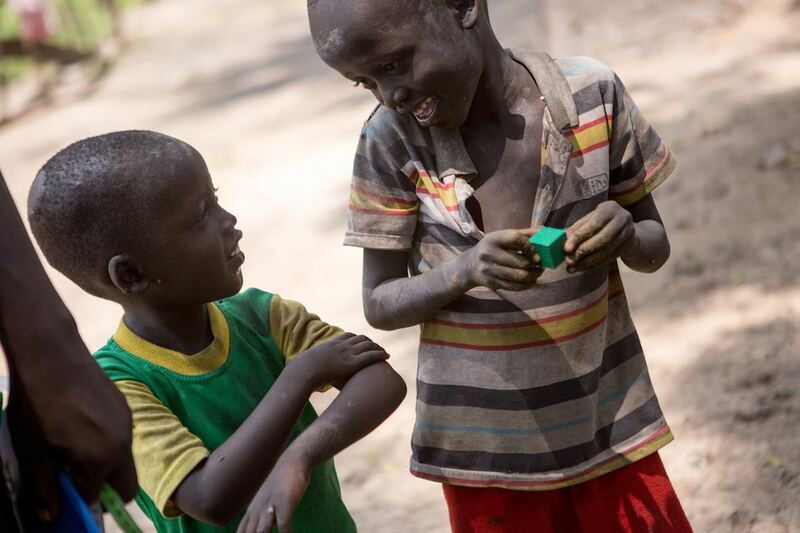 Children in Geita, Tanzania, play around with IMA staff during a school visit. With funding from the U.K.’s Department for International Development, IMA implements the Addressing Stunting in Tanzania Early, or ASTUTE, project in five regions in Tanzania, including Geita. The project aims to reduce childhood stunting in high-risk regions of Tanzania. 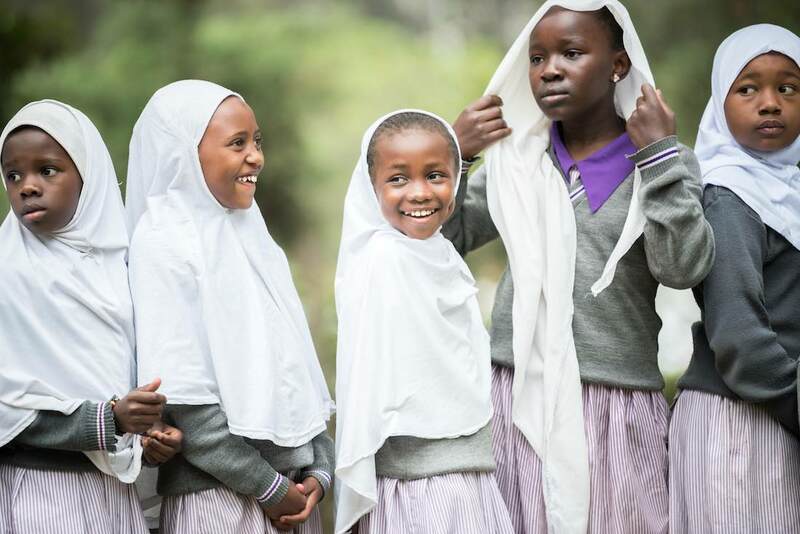 ASTUTE is known locally as Mtoto Mwerevu, Swahili for “smart child.” Learn more here. IMA World Health supports health around the world in many ways, but one of the most fun is visiting schools across Haiti and fitting children for shoes. IMA has served as a TOMS Giving Partner in Haiti since 2010. Distributing new shoes to children helps to protect feet, prevent disease and facilitate school attendance. Meet some of the kids here. 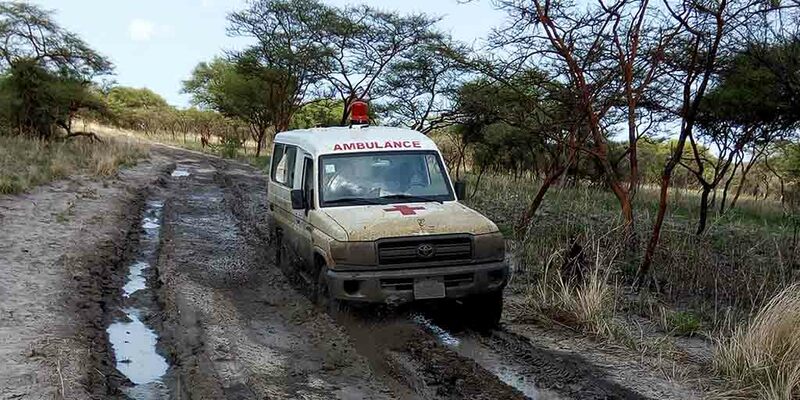 In South Sudan’s Jonglei and Upper Nile states where IMA works, rainy season flooding adds a layer of challenge to ensuring basic health care needs are met. While we often rely on river and air travel to deliver supplies, we still manage day-to-day health care needs the old fashioned way. These photos represent some of our best work this year—work that is made possible only by the generosity of our donors. Your gifts truly save and improve lives around the world as we strive to achieve health, healing and well-being for all. Thank you for your generous support of IMA World Health as we look ahead to another year of providing basic health care to those who need it most. Now is the BEST TIME to make your gift. ALL ONLINE GIFTS WILL BE MATCHED $1 FOR $1 until the end of the year by an anonymous donor. Please make your donation today! Need help with your donation? Contact Jennifer Bentzel, our Fundraising Officer, at 717-353-5088 or at jenniferbentzel@imaworldhealth.org.